Posted on February 18, 2019 February 21, 2019 by John MeunierPosted in General Conference 2019Tagged General Conference 2019, United Methodist Church. John, I’m one of those progressives that are hoping we can stay in a church and still honor what we hear from God and read in the Bible, especially in Jesus’ teachings, that we’re to welcome all. No, it’s not a “rebellion against the order of creation” (as in Gary’s note) since LGBTQ+ folks are part of God’s creation. I personally fear that the OCP will not be accepted and that I’ll have to make a decision about whether to stay or not. I don’t know what I would decide. I do appreciate Steven’s comments. The CHURCH is much broader than the United Methodist Church. I only hope that I will pray and go through a discernment process as well done as you have, John. Thanks for the comment and kindness. I know there is fear and anxiety on all sides. It is probably why we struggle right now to be generous toward each other. May God lead and strengthen you. It’s very unfortunate that traditionalists are often caricatured as denying the sacred worth of persons created by God. This is a devilish canard, patently false, but it plays a large role in sowing confusion and exasperation and madness in our current process. Gary, you nailed it brother! Marriage traditionalists elevate the value of the person above that of a sexual being. Any denomination needs a spectrum of theology as long as it is Christ-centered. It is difficult when we have a stake in an issue not to personalize it. It is Christ who should be at the center of our lives, not our egos. Out of that center will come loving ways of treating one another. Shalom for all. I too will be staying United Methodist. I love the UMC and every fiber of my being tells me that I belong in the United Methodist Church. When I joined, I promised to be loyal to God and the church and I will continue to be. I know changes are coming, both good and bad, but I believe God’s grace and mercy is sufficient to see us through the difficult days ahead. Thank you John for this article and may God bless you through your journey. Thanks for sharing your thoughts. I disagree with several of the premises you set out. Let me mention a couple. 1) You say “I suspect that the UMC will experience what other denominations have after adopting similar measures.” Can you name these denominations? Lutherans [ELCA]? Presbyterians? Episcopalians? United Church of Christ? In fact, looking at the net effect across a decade of reports, none of these denominations saw “a large exodus of people, clergy, and congregations, which will shift the denomination further to the progressive side.” None of them saw membership decline any more substantial than what the UMC has been experiencing going back two or three decades. Our decline has been in concert with theirs. This is more about general demographics in mainline church families than any decision about inclusion. 2) Wesley has been a central teaching for those of us labeled “Progressive” as well. He was Armenian and not Calvinist in his theological underpinnings. Questions of who is to be fully welcome at the tables of grace and in our fellowship didn’t spin around doctrinal purity. The journey in holiness, or sanctification calls us, each and all, to learn and grow as lead by the Spirit — Just as St. Paul changed his thinking on food and circumcision; and Wesley changed his view on Heart Religion, Lay Leadership and Field Preaching; and Methodists in the U.S. changed our views on slavery, a segregated church, women in ministry and the welcoming divorced clergy into service — we are called to be a family committed to welcoming new realities as the Spirit gives us clarity. I give thanks for your ministry and your desire for “integrity.” At the same time I pray you might understand that for others of us “integrity” means seeing a church that is welcoming of the gifts of LGBTQI persons who pledge to live faithfully. I join Dr. Steve Harper who points out that our Covenant is not a score card but rather a call to LIFE and God’s continuing renewal of persons and the church. Phil, thanks for writing. In saying that it is an “integrity” issue for me, I no way meant to imply it was something else for anyone else. I am writing and reporting my process and my decision. I do not see or intent that as a commentary on anyone else. I think there are interesting conversations to be had about Wesley’s view of holiness (always a favorite topic of mine) and the scale and scope of denominational change in recent years. I do not have time to engage at length on those things now. Thanks for taking the time to write. God bless you. It is a cliche to say each person chooses to live in their own reality but as a young person struggling to find my reality I finally concluded that Christ was the ultimate reality that I, or anyone, could try to live by. I see Christ as the ultimate realist with His many teachings —and the greatest of these is Love; I am the Truth (and the Truth shall set you free), the Way, the Light, the Shepherd, the Teacher — and to me, the Realist. Christ lived as a Realist 2000 years ago. He wasn’t a magician, or a fortune teller, He wasn’t self centered but God centered. And he became flesh, 2000 years ago, subject to the knowledge and realities of that time placing everything into the context of His and God’s love. Thank goodness. Christ the Realist has continued to live these 2000 years and being of the flesh kept learning. As a Teacher, He could be a scientist discovering truths and facts, sorting them into His Reality. He had to be impressed with Wesley’s programs and teachings and actions dealing with the realities of his time. A wonderful Disciple. Probably why I am a Methodist today. I am not a Theologian, just a retired physician, who with my wife Ann, spent some years in Africa under the UMC as medical missionaries. I believe in the realities of the US and of Africa and of the blessed differences in the cultures and civilizations of this earth. I believe in the realities of our sexuality as science has shown exists. I didn’t choose to be heterosexual, I just am. Others didn’t choose to be homosexual, they just are. Yet we are all under the canopy of Christ’s Realistic Love. We all deserve the blessings of marriage, of career, of the pursuit of happiness, under and in Christ’s Realistic Love. As a Wesleyan outsider it troubles me that this beloved church so widely used and blessed by God has descended to this point. Your decision to stay is admirable. 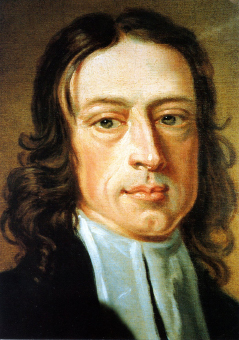 I recall that Wesley never left the Anglican fellowship. I still wonder if he would be able to stay connected to a body so clearly misguided morally. Jesus Himself didn’t “come out” of the Jewish fellowship although they ended up expelling Him and his apprentices.